Well-versed shooters understand the importance of mastering the double tap. It’s a talent that has even made an appearance in quite a few movies: if you’ve seen Zombieland, you’ve heard Rule #2: The Double Tap. And although it might seem like a simple task to fire two shots in quick succession, reality is something a bit different. After firing your first shot, the muzzle of your gun will jump, and returning your aim to the exact same spot with speed and pulling the trigger a second time with dead-on accuracy is harder than you might think. This is why shooters work on grouping: because putting holes in your target as close together as possible is both a vital skill and a fairly difficult one to master. Extensive training requires a lot of ammunition. 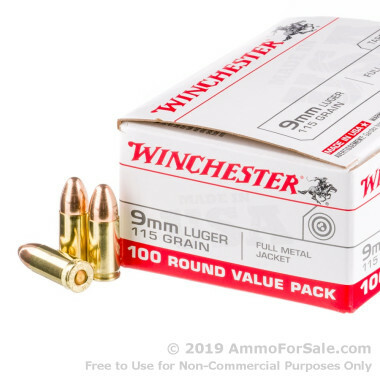 This 1,000-round box is perfect for training; not only are these FMJ rounds but they’re brass cases with boxer primer, so they can be reloaded. Remember, FMJ rounds don’t expand on impact, so you must be sure of your backstop. 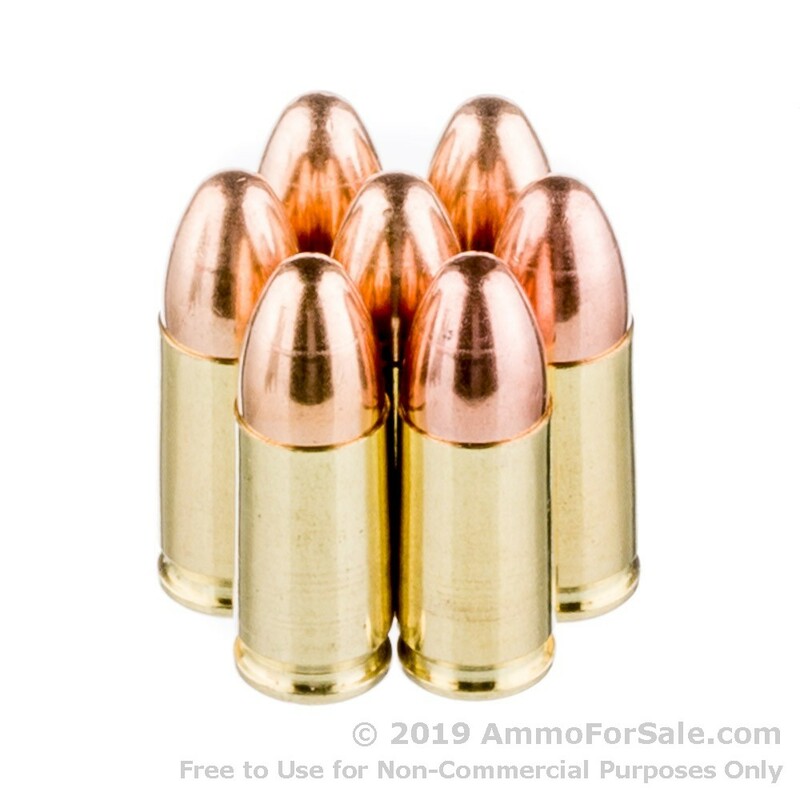 These are lightweight 115 grain rounds which makes them capable of greater speeds and also keeps your recoil to a minimum, which means your hands won’t tire out as quickly during training. They have a muzzle velocity of 1,190 feet per second and a muzzle energy of 362 foot-pounds. Winchester manufactures their ammunition in the United States to strict standards. The company was founded in 1866, and with 150 years of experience and quality backing their products, you can see why shooters everywhere load their favorite firearms with Winchester ammunition. 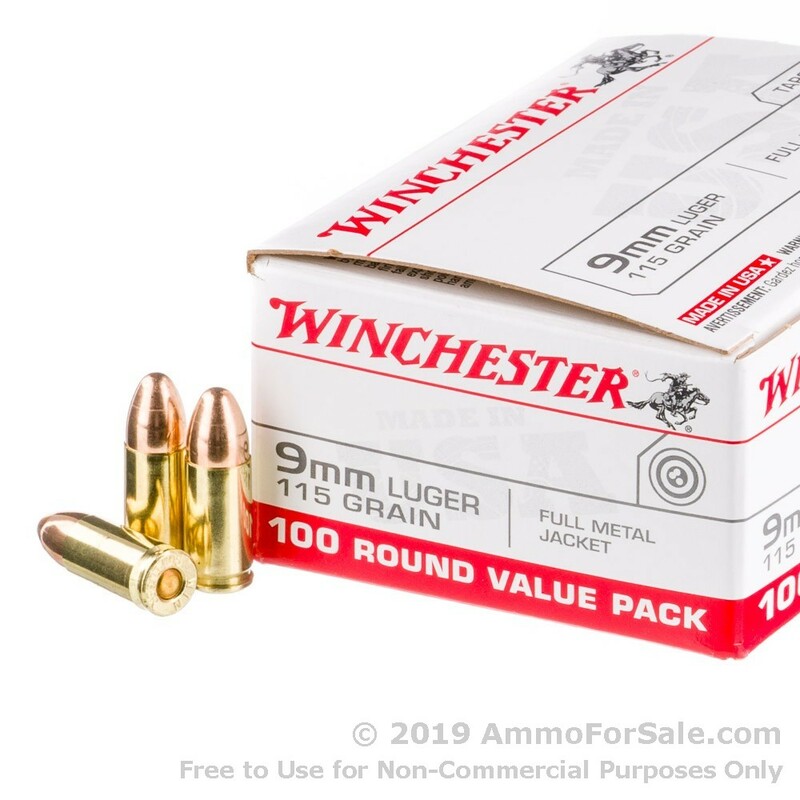 Whether you’re working on your double-tap drills to thin out the zombie population or putting holes in pop cans for fun, this 1,000-round box will keep you and your gun happy. 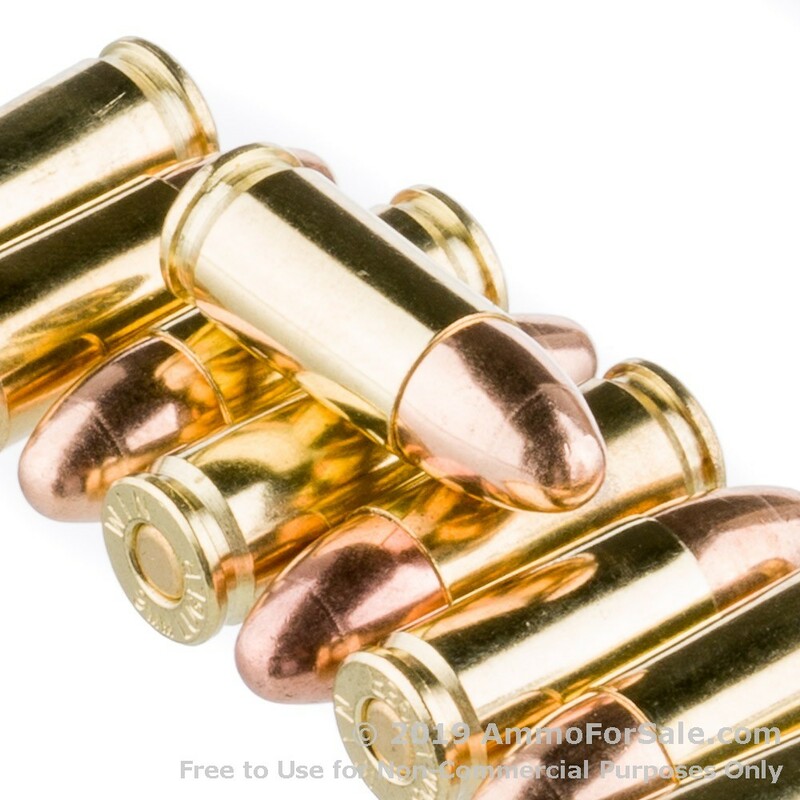 I use this ammo to test all 9mm I work on.